Random Fact: This is the first level of Crash Bandicoot ever to have TNT crates! Jungle Rollers is the first “proper” Jungle level in the whole series. The first level, N. Sanity Beach, starts off on the beach but ends in the Jungle. 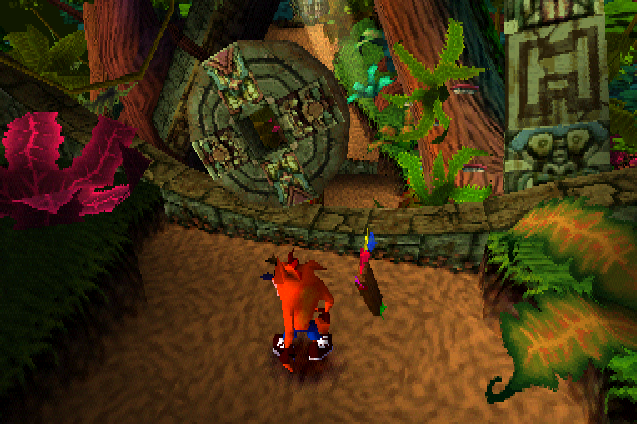 The Jungle levels of Crash 1 and 2 are usually lots of fun, and are usually some of the easier levels. That being said, Jungle Rollers, and the massive rolling stones, can be problematic for newbies to the games. There’s a lot of trickery involved in manoeuvring round these stones and you have to time your jumping right. I do love the music for this level, the grooves are incredible funky. I often find myself humming along to this one a lot! It’s one of the easiest levels in the hardest of the Crash trilogy, but it does have some bite to it.